The emerging Global Food Challenge dictates a need to increase productivity with efficient usage of resources such as water, energy and fertilizers. The world’s population is projected to grow to 9.6 billion people in 2050. To support this growth 69 percent more food calories need to be produced. Agriculture has a huge environmental footprint, (70% of all freshwater, 37% of landmass, 24% of greenhouse gas emissions). Farmers play a big role in feeding the world. They have the responsibility to constantly reinvent the way our food is produced in order to achieve higher yields to meet demand. Sensoraide wants to carry a part of farmers' responsibility. We use wireless sensors on the field, analyze the data and provide farmers with the opportunity to make informed decisions for achieving optimal yields with minimum cost. Supporting the farmers’ experience with analytics can minimize the expenses, the chances of crop failure and the environmental impact. Depending on the crop, precision agriculture can help increase overall profitability by 100€ to 200€ per hectare. We provide you with ready-to-deploy wireless sensors. The data is sent to the cloud and can be accessed from anywhere. With our user-friendly, higly customizable platform, you can monitor the condition of your crop. Real time analysis is accessible through our web application. 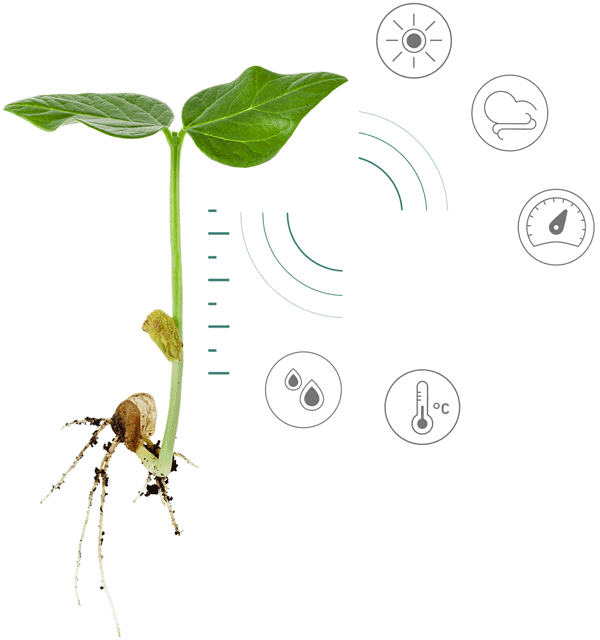 A system of alerts and notifications helps you be proactive and protect your crops. Advanced analytics help you make informed decisions to optimize yields and reduce your operational costs.